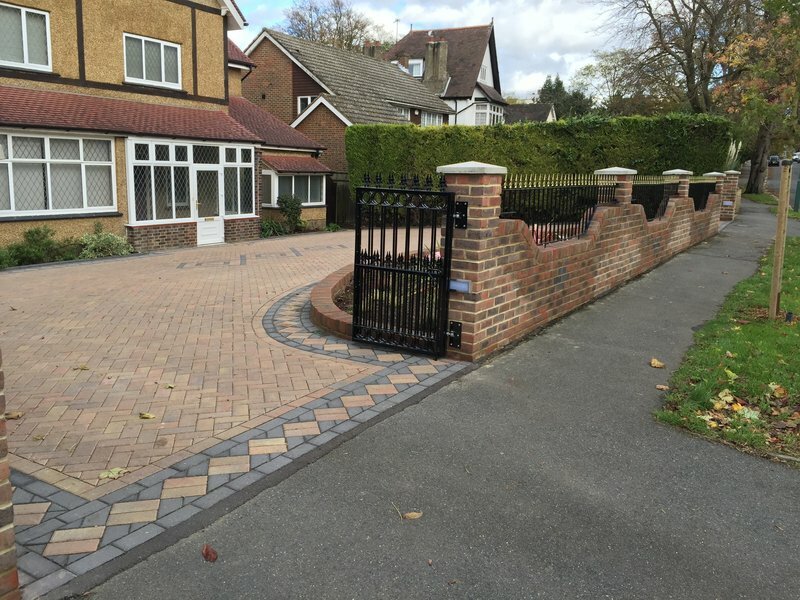 Alcourt Landscapes are landscaping, driveway and patio specialists based in Surrey. We have a proven track record of innovative designs, effective problem solving and attention to detail and our goal is to meet and exceed the expectations of every customer. 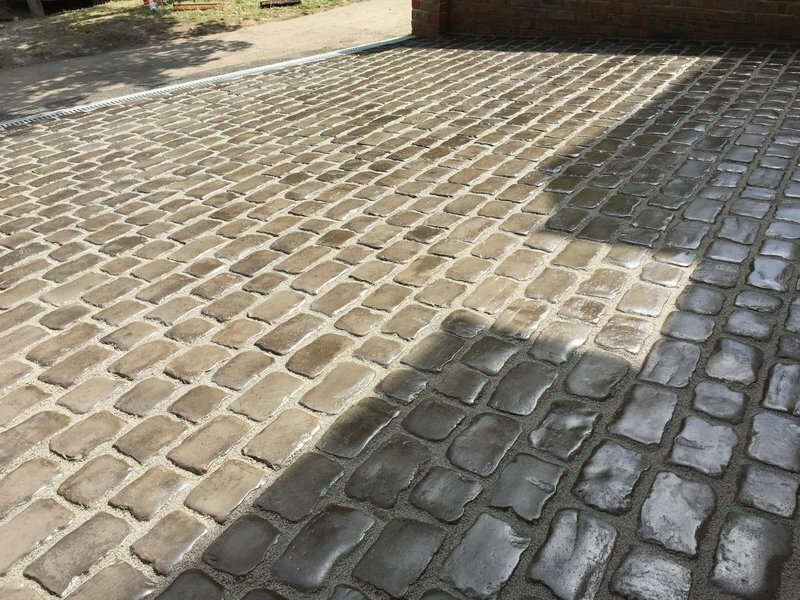 We take on all types of jobs from small household work to larger commercial projects, all carried out to the highest standards, and at very competitive prices. We thought these guys were brilliant. Always polite and courteous, and got the job done to an incredibly high standard. I would use them again! Turned up on time, clean service cannot fault them. Chris at Alcourt Landscapes was excellent and I would most definitely recommend him and his company. The whole team of workers were polite and efficient and they all worked to the highest of standards. 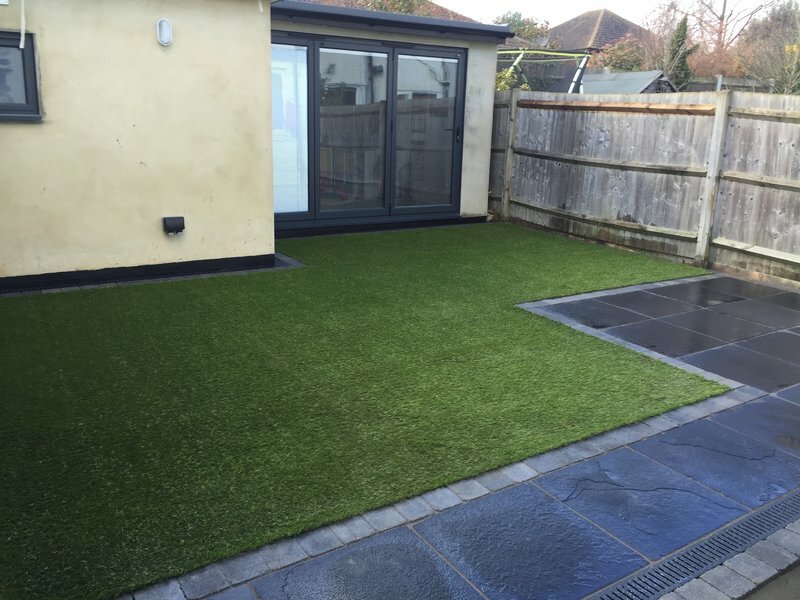 We are really happy with our extended patio and the artificial lawn looks great. The guys always turned up on time and Chris kept me informed throughout the week what they were doing and what they were doing next. It was a very easy experience for me as they took care of everything. I now would not go anywhere else and we will definitely be using Alcourt Landscapes for our front driveway. The Alcourt team enlarged our drive from one car's width to two car's widths. They then laid paving blocks to the drive and paths. This included a soak away and edging blocks all round. This was all done within the time schedule and budget as agreed. The team were polite and worked to a high standard. If we had any queries/points these were quickly resolved as the work progressed. They carried out a first class job in all respects. 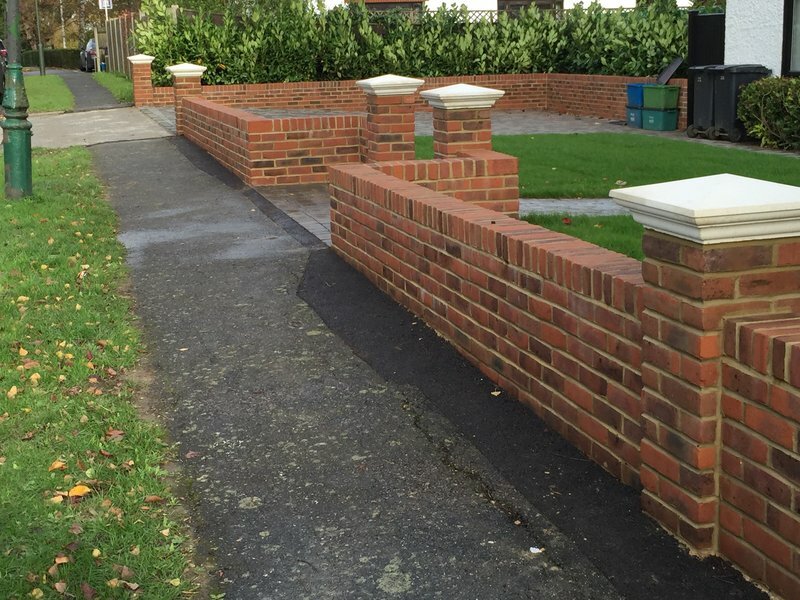 We are now proud of our drive, which is greatly admired by our neighbours and passers by. Great company - Great work! Chris and his team transformed our old crazy paving front garden to a new block paved driveway. Scott and Jimmy did a great job on site always ensuring that everything was left clear and tidy to ensure minimal disruption. Communication from Chris throughout the whole process was also excellent. We could not recommend Alcourt Landscapes highly enough. We are delighted with the work completed. They were a professional team working to a high standard. The team were polite, keeping the site as clear as possible. They communicated well making small changes here and there as the work progressed. Exceedingly happy to recommend. Paving stones laid at the front of the house for a car and at the rear of the house for a shed. Completed to a high standard ahead of time. Everything left very tidy when the work was completed. Very helpful and polite. 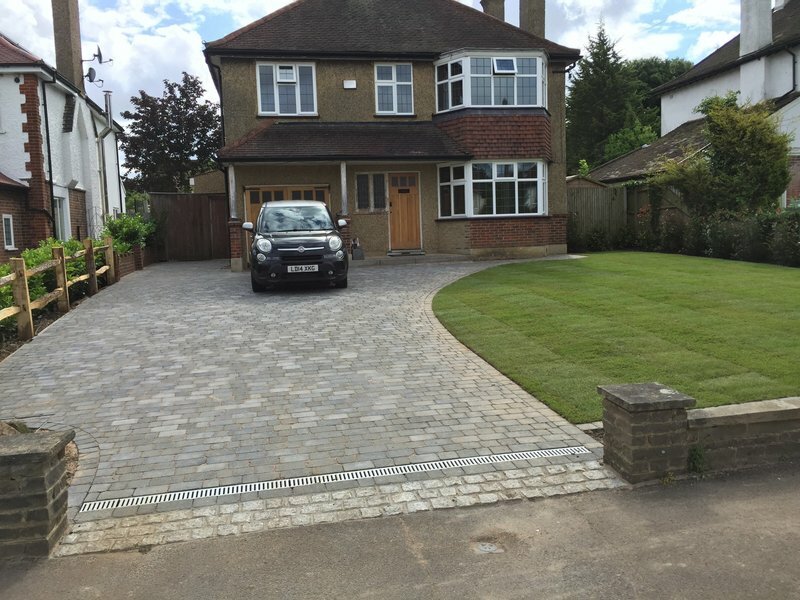 Driveway paving & house surround finished to a very high standard. Highly organised, excellent time keeping & smart clean up! 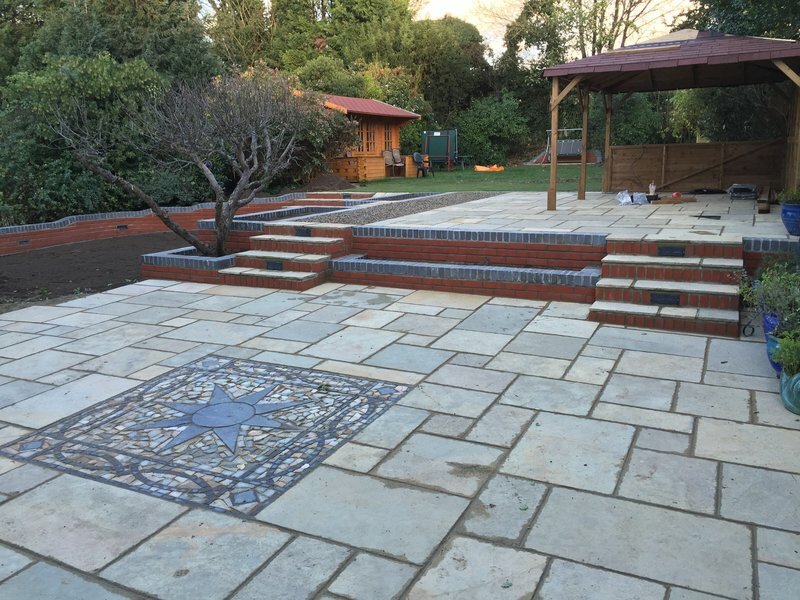 "Chris and his courteous four man team replaced our Patio and paths to the side and front of our house with 90 sqm of sandstone paving in 9 working days, including repointing a garden wall. Always on time, the workmanship was of a high standard and value for money. I thoroughly recommend Alcourt Landscapes.